The Navy christened its newest Expeditionary Fast Transport, the future USNS Burlington (T-EPF-10), during a 10 a.m. CST ceremony Saturday, February 24, at the Austal USA shipyard in Mobile, Alabama. The future USNS Burlington, designated T-EPF-10, will be the first ship in naval service to honor Burlington, Vermont’s largest city. The first Navy ship Burlington (PF-51) was named for Burlington, Iowa, and served during World War II. The principal speaker is U.S. Senator Patrick Leahy of Vermont. Mrs. Marcelle Pomerleau Leahy, Senator Leahy’s wife of 55 years, served as the ship’s sponsor. In a time-honored Navy tradition, she christened the ship by breaking a bottle of sparkling wine across the bow. «This ship honors Burlington, Vermont, a city that embodies American values and its patriotic, hardworking citizens for their support and contributions to our Navy», said Secretary of the U.S. Navy Richard V. Spencer. «Burlington, like the other ships in the EPF program, will provide our commanders high-speed sealift mobility and agility. I am thankful for this ship and her crew who will serve our nation for decades to come and I am thankful for our industrial force teammates whose service makes this great ship possible». EPF class ships are designed to transport 600 short tons of military cargo, 1,200 nautical miles/1,381 miles/2,222 km, at an average speed of 35 knots/40 mph/65 km/h. The ship is capable of operating in shallow-draft ports and waterways, interfacing with roll-on/roll-off discharge facilities and on/off-loading a combat-loaded Abrams main battle tank (M1A2). The EPF includes a flight deck for helicopter operations and an off-load ramp that will allow vehicles to quickly drive off the ship. EPF’s shallow draft (under 15 feet/4.57 meter) further enhances littoral operations and port access. This makes the EPF an extremely flexible asset for support of a wide range of operations including maneuver and sustainment, relief operations in small or damaged ports, flexible logistics support or as the key enabler for rapid transport. The EPF program delivered its ninth ship late last year, USNS City of Bismarck (T-EPF-9). USNS Puerto Rico (T-EPF-11) and USNS Newport (T-EPF-12) are currently under construction at Austal’s shipyard. The Navy accepted delivery of its second Expeditionary Sea Base (ESB) ship, USNS Hershel «Woody» Williams (T-ESB 4), February 22. 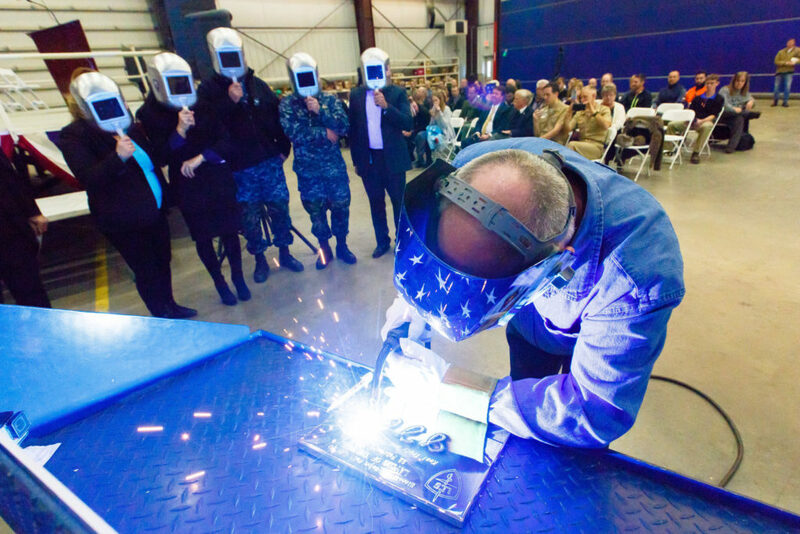 The delivery marks the official transfer of the ship from the shipbuilder to the Navy. USNS Hershel «Woody» Williams (T-ESB 4) will be owned and operated by Military Sealift Command. 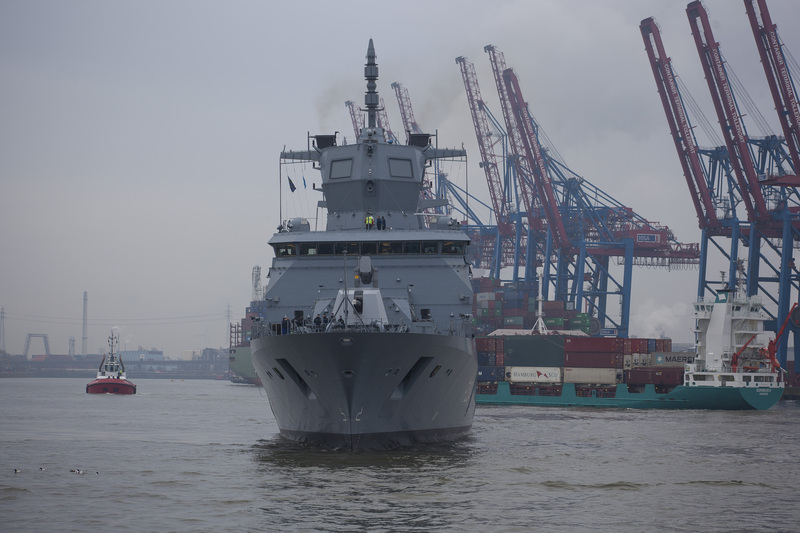 «The delivery of this ship marks an enhancement in the Navy’s forward presence and ability to execute a variety of expeditionary warfare missions», said Captain Scot Searles, Strategic and Theater Sealift program manager, Program Executive Office (PEO) Ships. «Like the ship’s namesake, USNS Hershel ‘Woody’ Williams will exemplify the Navy’s commitment to service». USNS Hershel «Woody» Williams (T-ESB 4) is named for Medal of Honor recipient, Hershel Williams. During the battle of Iwo Jima, then-Corporal Williams bravely went forward alone against enemy machine gun fire to open a lane for the infantry. Williams continues to serve his fellow men and women in uniform through his foundation, the Hershel Woody Williams Medal of Honor Foundation, established to honor families who have lost a loved one in service to their country. ESBs are highly flexible, modular platforms that are optimized to support a variety of maritime based missions including Special Operations Force, Airborne Mine Counter Measures operations, humanitarian support and command and control of traditional military missions. The ESBs include a four-spot flight deck, hangar, and a versatile mission deck; and are designed around four core capabilities: aviation facilities, berthing, equipment staging support, and command and control assets. The ESBs will operate as the component commanders require, providing the fleet with a critical access infrastructure that supports the flexible deployment of forces and supplies. USNS Hershel «Woody» Williams (T-ESB 4) was constructed by General Dynamics NASSCO shipyard in San Diego. 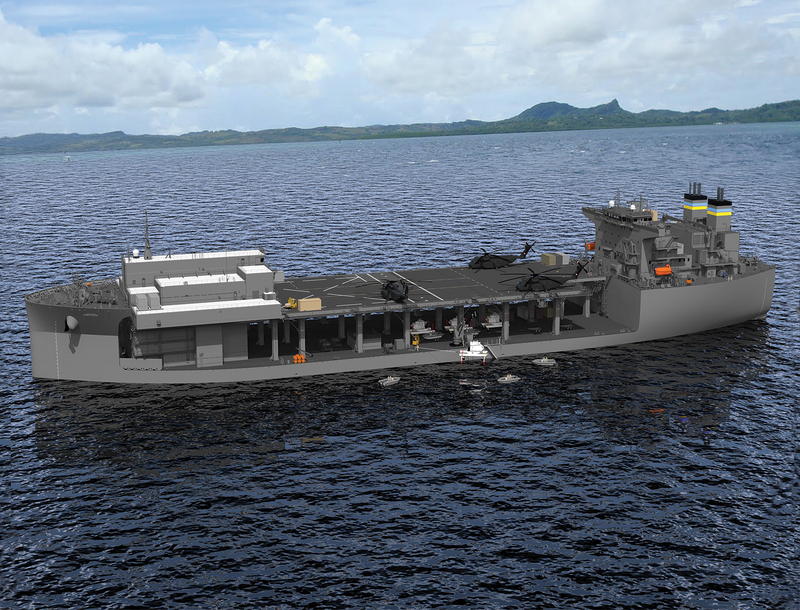 NASSCO is also constructing the future USNS Miguel Keith (T-ESB-5). 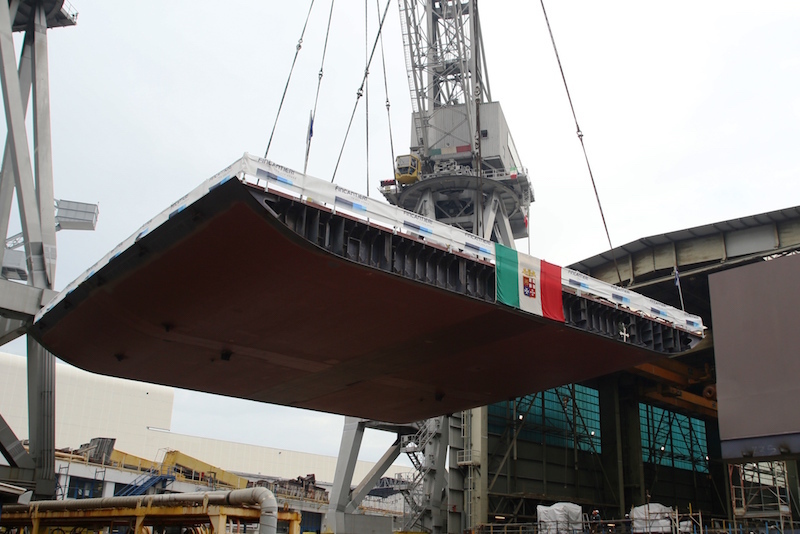 The keel laying ceremony of the multipurpose amphibious unit (LHD or Landing Helicopter Dock) took place on February 20, 2018, at Fincantieri’s shipyard in Castellammare di Stabia, marking the beginning of the slipway works of the unit. The unit will be approximately 215 meters/705 feet long with a maximum speed of 25 knots/29 mph/46 km/h. 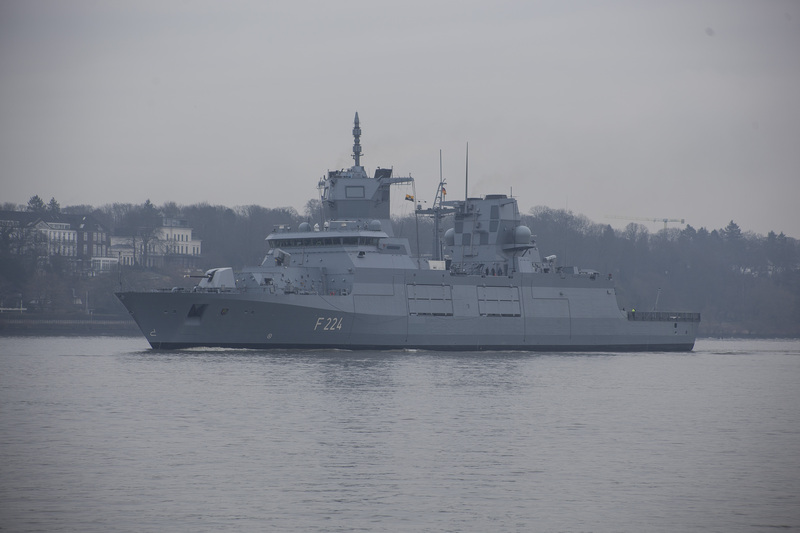 It will be equipped with a combined propulsion system diesel/electric and gas turbines (CODLOG). rescue operations base through helicopters and on board staffing vessels. Equipped with wide internal embarkment areas (of about 4,500 m2/48,438 ft2 within dock-garage and hangar-garage), and a continuous open deck, able to receive wheeled vehicles of various kinds, containers and helicopters, the unit can perform several military and civil missions. On February 18, 2018, an «Arrow» weapon system test was completed successfully when an «Arrow 3» missile intercepted a simulated target in space. First, the target was detected by the weapon system’s radar. The data was then transmitted to the interception management center, and the «Arrow 3» missile was launched. The test was performed by Israel’s Administration for the Development of Weapons and Technological Infrastructure, alongside the American Missile Defense Agency, Israel Aerospace Industries (IAI) and the Israeli Air Force (IAF). 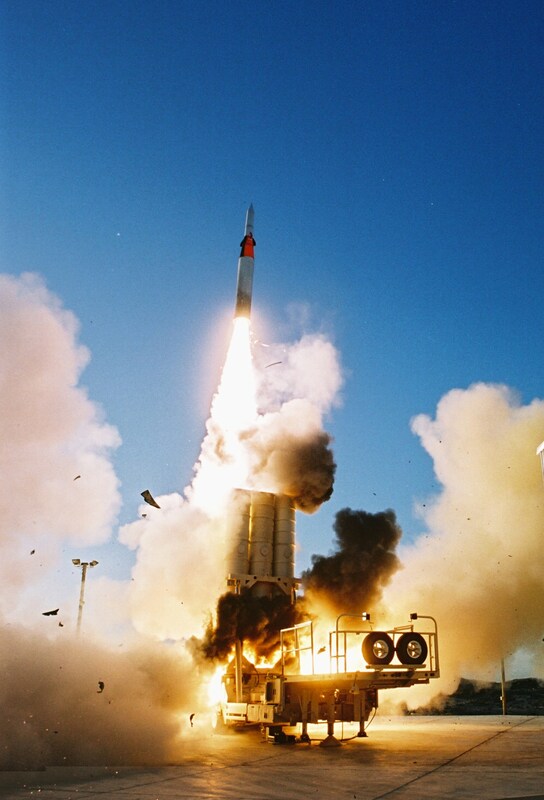 Designated systems were installed on the tested missile in order to transmit unique data and enable a more effective analysis of the test results. The test’s success is a milestone in Israel’s defensive capabilities. «This was an operational test. We tested the ‘Arrow 3′ interceptor missile against a simulated target located thousands of kilometers away at an altitude of over 100 kilometers/62 miles. This target was further and higher than any other target we’ve intercepted so far», explained Lieutenant Colonel Y’, Commander of the «Arrow» Unit. «The test shows the significant capabilities of the weapon system and its operators, capabilities which are now a part of the IAF’s Aerial Defense Division». The «Arrow 3» interceptor missile was integrated into the IAF for operational use in January, 2017. It is an innovative missile, designed to defend against ballistic missile threats outside the atmosphere. Additional tests are expected in the U.S. in 2018. «This is an opportunity to examine the entire process, from detection to interception», said Lieutenant Colonel Y’. «As part of this test, we examined the capabilities of the weapon system’s new program block, which was integrated a few months ago. The new block has many improved defense capabilities with an emphasis on a larger radius and altitude of interception. After the test, we have much more faith in this block and its operational capability». The Missile Test Unit was responsible for the test’s infrastructure. «We received the test scenario and began establishing its infrastructure with an emphasis on safety», said Lieutenant Colonel A’, Commander of the Missile Test Unit. «The biggest challenge was mapping out dangerous zones on the ground, in the air and at sea in order to prevent people, aircraft and ships from entering. Our unit is responsible for operating the test field, both in maintenance and in engineering. It is a privilege to perform this test, and its success is our success». AUSTAL on February 18, 2018, celebrated the US$15 million dollar fixed price contract for the Guided Missile Frigate FFG(X) Concept Design. The contract will develop the Austal Frigate design to meet the FFG(X) system specification with the goal of reducing cost, schedule, and performance risk for the follow-on detail design and construction contract. «Austal welcomes this contract as an endorsement of our advanced, technology focused design; something that underpins everything we do and is at the heart of what has built our reputation over the last 30 years», Austal CEO, David Singleton said. «Our continued investment in research and development to support the technology of our vessels is what has kept our designs at the forefront of advanced naval capabilities», Mr. Singleton said. «Highly technical engineering, research and development, and advanced digital design concepts are continually improved to set the standard of what is possible in naval design. With this latest announcement, the United States has recognised the importance of being able to operate the most advanced naval vessels and we are excited to work with them to develop the technology to do this. Our design team in Mobile will be leading the work on the Austal Frigate, and I have every confidence that they will excel in delivering the next generation frigate design to support the United States Navy», Mr. Singleton said. 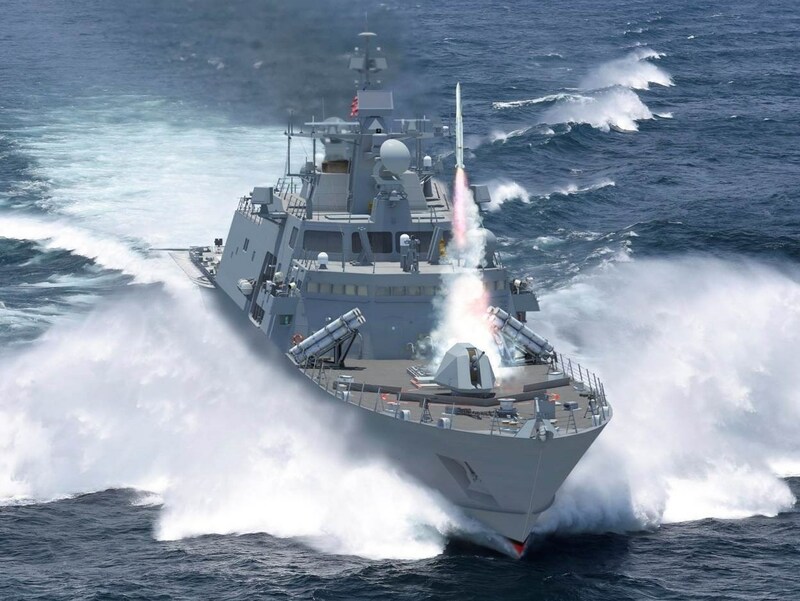 The conceptual design effort will inform the final specifications that will be used for the detail design and construction request for proposal that will deliver the required capability for FFG(X). 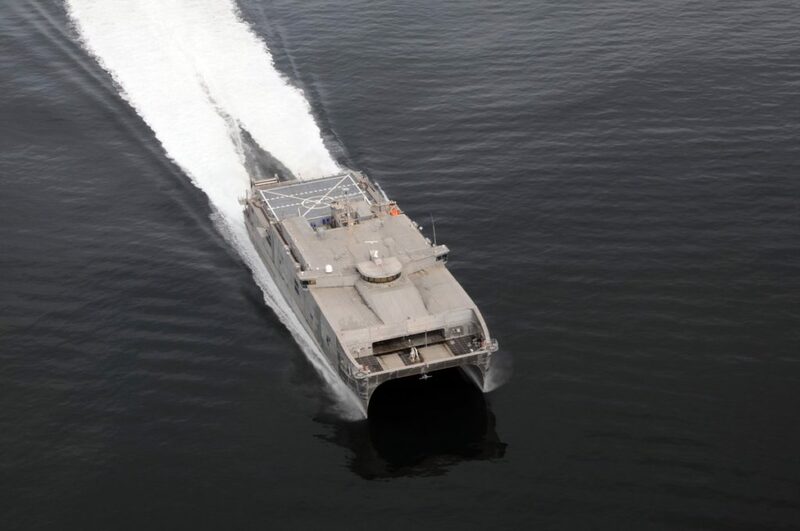 Austal USA is already delivering two classes of ship for the United States Navy through the Spearhead Class, Expeditionary Fast Transport (EPF) and the Independence Class, Littoral Combat Ship (LCS). Huntington Ingalls Industries (HII) announced on February 16, 2018, that its Ingalls Shipbuilding division was awarded a $1.43 billion, fixed-price incentive contract for the detail design and construction of LPD-29, the 13th San Antonio-class amphibious transport dock. «This contract is further recognition of the confidence the Navy/Marine Corps team has in the great work our shipbuilders are doing in the LPD program», said Ingalls Shipbuilding President Brian Cuccias. «This efficient work is proven through our hot production line keeping the work going in the shipyard and through our nationwide network of suppliers. We are excited to build this additional ship and in providing our sailors and Marines with the best amphibious ships in the world». Ingalls has built and delivered 11 San Antonio-class ships. 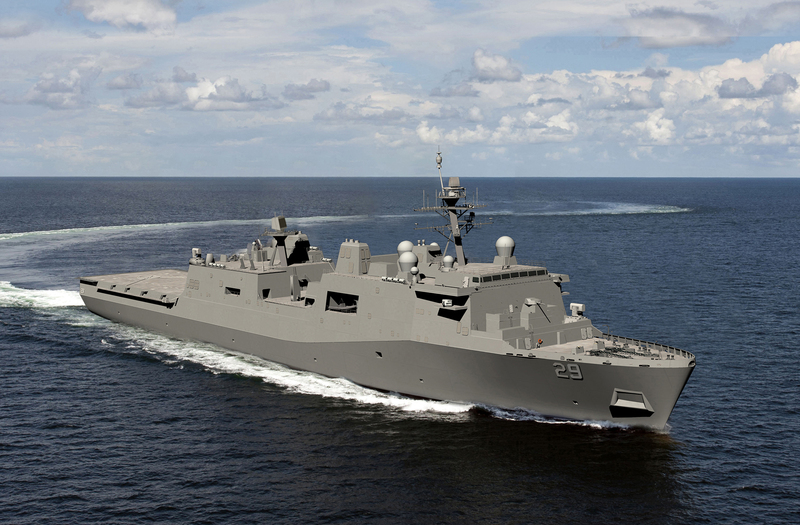 The 11th, USS Portland (LPD-27), will be commissioned on April 21 in Portland, Oregon. The 12th, Fort Lauderdale, is under construction and is expected to launch in the first quarter of 2020. 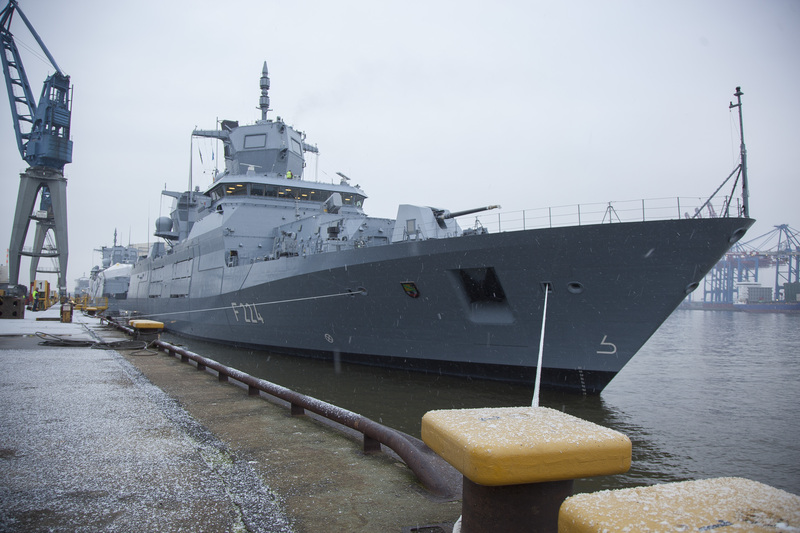 Preliminary work has begun on LPD-29, and the start of fabrication will take place later this year. The San Antonio class is a major part of the Navy’s 21st century amphibious assault force. The 684-foot-long/208-meter-long, 105-foot-wide/32-meter-wide ships are used to embark and land Marines, their equipment and supplies ashore via air cushion or conventional landing craft and amphibious assault vehicles, augmented by helicopters or vertical takeoff and landing aircraft such as the MV-22 Osprey. 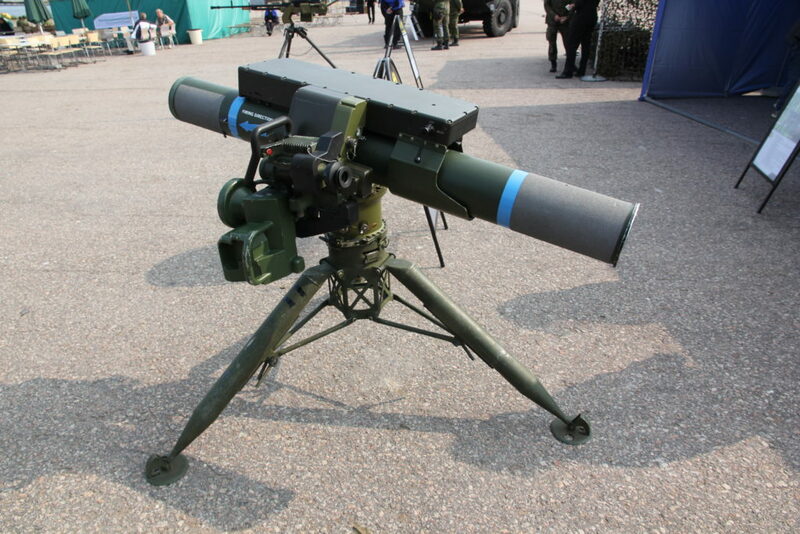 Contract for purchase of various Spike anti-tank missile systems, worth €108 million and made by Israel, will be signed by Minister of Defence Raimonds Bergmanis and EuroSpike Managing Directors, Mr. Guenter Lauer and Mr. Arie Lapidot at the Latvian Ministry of Defence on Monday, 12 February, at 14:00. Acquisition of anti-tank weapons is one of defence sector’s priorities. The anti-tank missile systems Spike has been recognized as the most appropriate operational requirements of the National Armed Forces. The newly acquired Spike missile systems, which will complement the existing stockpile of this armament, will significantly enhanced combat capability of the National Armed Forces regular units and the National Guard. Spike anti-tank missile systems will be also installed on Combat Vehicle Reconnaissance (Tracked) or CVR(T) units, which have been purchased from Great Britain. In its category of weapons, Spike anti-tank missile systems made by Israel are considered to be the most modern in the world. Spike systems consist of 4th and 5th generation electro-optical missile systems, providing high precision and high lethality against various targets, including advanced Main Battle Tanks (MBTs). Moreover, these systems provide the highest operational safety standards for the troops who handle them. Data transmitters, which are placed inside Spike missiles, send data from the rocket to control and launch console. Missile combat crew can operate these missiles remotely, from areas beyond enemy’s reach, while fully in control of fired missiles at all times. Spike anti-tank missile systems will be gradually integrated by 2023. The SPIKE system was developed by Rafael Advanced Defense Systems Ltd., which is also involved in the deal as a subcontractor, together with Diehl Defense GmbH & Co. KG and Rheinmetall Electronics (RME) GmbH.